Each year the Coro Center for Civic Leadership celebrates Dr. Martin Luther King Jr by hosting the Martin Luther King Jr. Leadership Awards which recognizes Pittsburghers that exemplify values based leadership. I wanted to share this information for a few reasons. First, its timely. Second, The winners and the nominees for 2014 are people who are doing some impressive things to make Pittsburgh a better place to live. And third, one of my big learnings from my participation in the Millennial Trains Project last summer was the importance of talking about leadership training. One each day of the trip – we had a dedicated session and a leadership curriculum that was developed by Dr. Max Klau, who is the vice president of leadership development for the City Year program. (you can read Dr. Klau’s Huffington Post articles about the Millennial Trains Project here) and The Coro Center for Civic Leadership is just one organization that is working to develop better leaders in Pittsburgh. What is the Coro Center for Civic Leadership? A non-profit organization that offers leadership training programs for everyone from recent college graduates to Pittsburghers that are interested in running for public office. The Pittsburgh Coro Center for Civic Leadership was founded in 1999 and is part of a nationwide network of Coro centers with locations in Los Angeles, New York, St. Louis and Kansas. What are the Martin Luther King Jr. Leadership Awards? An event hosted each January by the Pittsburgh Coro Center for Leadership to celebrates Martin Luther King Jr.’s values-based leadership. The 2014 Martin Luther King Jr. 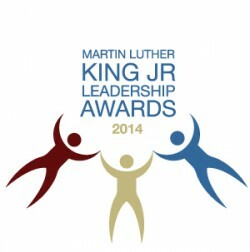 Leadership Awards will be held on Friday, January 24, 2014 at the New Hazlett Theater. Tickets are available here.